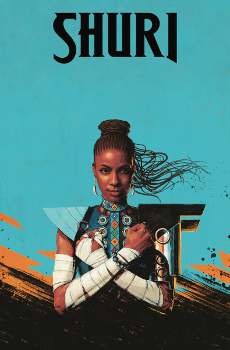 For once kudos on Marvel for putting an all-star team — and a black woman writer — behind a comic book about the very popular Shuri. But like most Marvel things, they miss capturing the immediate market post-Black Panther movie, probably because they didn’t have faith in Shuri’s fabulousness and then started scrambling toward this October release date. 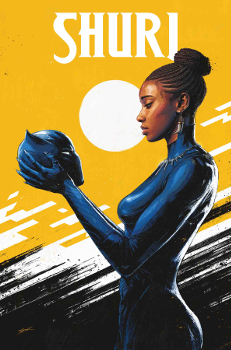 Okorafor does a swift job at diving into who Shuri is. I think it’s important that we get to see her by herself for the first half of this book and doing things she loves. You also see the concern she has for her brother T’Challa, who’s currently missing in space. Okorafor also smartly introduces us to the world of Black Panther comics and where in time we are for this story. (I’m behind on Black Panther, so even as a frequent comic book reader, I appreciated that.) 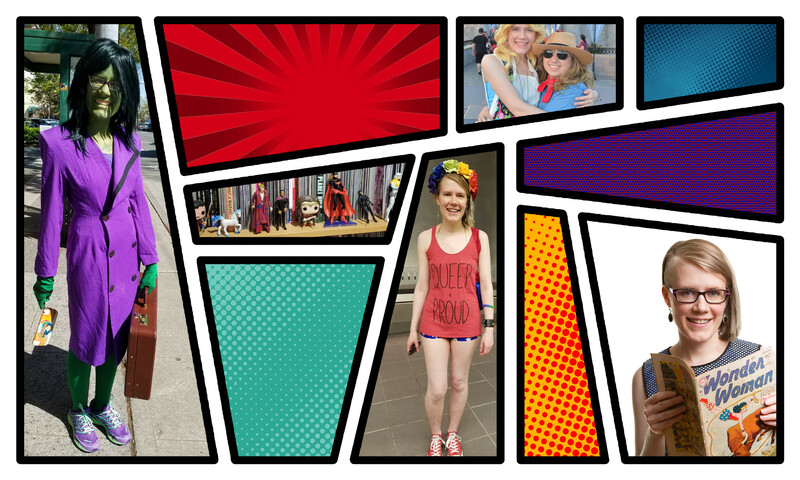 She brings us into this world and adds characters without overly explaining everything. This is usually something writers, who come from prose-only traditions, have issues with, even if they love the medium of comics. Shuri here is a careful blend of current comic book Shuri and movie Shuri. It’s kind of hard to tell how old she’s supposed to be — which is the major difference between the continuities. Shuri is definitely not a teenager like the film version, but she’s certainly still a young woman. Romero’s art is wonderful. He does the perfect amount of decorations and design to make the world of Wakanda come to life. I loved the flashback work — the layout and the color choices — that he and Bellaire did together. This is just beautiful artwork, and like I mentioned previously, they are top talent. I love this council of women, the Elephant’s Trunk. I love Ramonda not quite understanding what it means to now be a constitutional monarchy. We’ll see what happens with this. 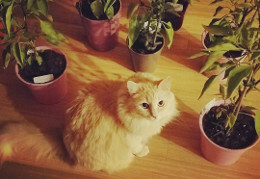 Suspicious of Muti. 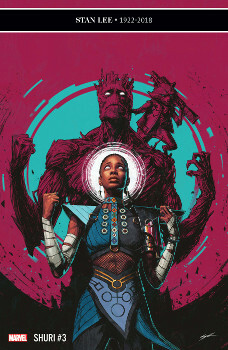 Like the way the writing and art integrate the voices of the ancestors that Shuri has connection to. Though I am all about Shuri taking up the mantel of Black Panther again. Wow, I was not expecting that ending. And I haven’t quite figured out if that’s a good or a bad thing. Though I cannot say I’m surprised that Okorafor would want to write a space tale and have it center around two young black women, Shuri and Mansa. Mansa sure got more than she was bargaining for when trying to find a quiet place to study. Mansa being just out of high school may be assistance in placing Shuri’s age. That said, also unsure about Shuri inhabiting Groot’s body. Which begs the question who Mansa will be taking over? This sudden plot development did make me think that I actually need to catch up on Black Panther before I dive further into this series. I expected a Shuri as Panther comic, but that’s apparently not what’s happening. Ramonda will continue to do what she wants. I wonder where Shuri gets that from. Ramonda’s rather passive aggressive for a queen. Or is this just straight up aggressive? I will never say no to more Ororo. Though I don’t know what to think about the scene where she and Ikoko size each other up. Of course, I am happy that doesn’t last very long at all. Especially since Ikoko was the one who told Ororo that T’Challa was missing. It will be interesting to see Romero take his always great pencils to space. Okay, that was only a short adventure in space. Otherwise, we’re back in Wakanda and going to fight off that space bug. Maybe Mansa has some insights due to being in its head. Everyone does love Aretha Franklin. I’m not sure about Rocket’s eyes being completely red. I get he’s not quite organic, but it seemed a little much. It’s also been a while since I’ve read a book with him in it. Maybe I just never noticed? Maybe Romero drew his eyes bigger? Maybe Bellaire’s red color was a little brighter? Either way, they drew my eyes. It was great that Rocket could still understand Shuri when she started saying “I am Shuri” as Groot. And that Rocket wasted no time not believing what was happening. Just another day ending in “y” for them. I’ll be curious to see who Ramonda was meeting with. Especially if Okoye was shocked to see that person and drew her weapon. Cannot be someone nice. Though I am glad we’re keeping Shuri in Wakanda and that I didn’t set this issue down in order to catch up on Black Panther. But I swear it’s on my list!